S-209 Change the clothing and the action for free. 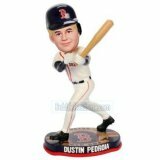 Custom bobblehead dolls made to look like you! Life is like a marathon. It needs strong will and plenty of stamina. 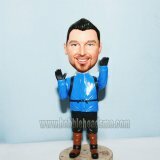 This customized female sport bobble head doll is a marathon athlete and she is showing us her gold medal.Select the sample bobble head body and allow us fully customized the head that likeness the photos you provided.